The Wilton Companies has specials throughout the year...please call for more information! Search The Wilton Companies' apartments for rent in Richmond, Virginia, Charlottesville and North Carolina! And you won't have to travel very far for a wide variety of shopping centers, malls, restaurants, specialty stores and quaint shops, business centers and office parks and downtown Richmond is only minutes away! On Sat., models are open 11:00am - 5:00pm & on Sun., 1:00pm - 5:00pm. For assistance in your selection call us at 1-855-392-9930 or email. 150-unit garden & townhouse apartments consisting of eleven two-story buildings with 1, 2 & 3 bedrooms. 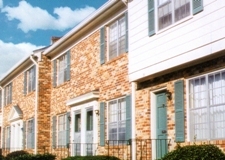 18-unit townhouse apartment complex consisting of three two-story buildings with 2 bedroom townhouses. 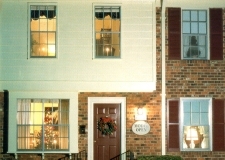 22-unit townhouse apartment complex consisting of three two-story buildings with 2 bedroom townhouses. 158-unit garden & townhouse complex consisting of fifteen attached two-story buildings w/ 1, 2 & 3 bedrooms. 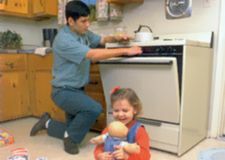 A senior community with spacious 2 bedroom, 1 bath apartments for people 55 years of age and older.